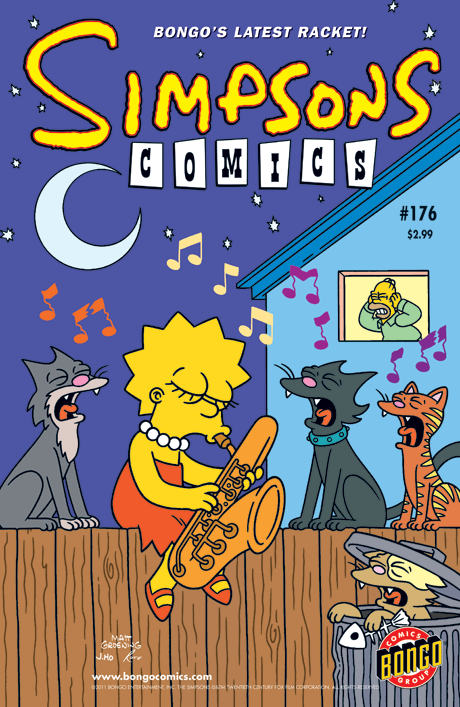 There’s a new cat lady in town, and her name is…Lisa Simpson! Hoping to pad her college-bound resume with community service, Lisa lends a helping hand to Eleanor Abernathy (aka The Cat Lady) only to find that the feline-friendly female has gone missing. Soon, Lisa becomes responsible for the care and well-being of the wacky woman’s whole kit and kaboodle of kitty cats.